Kay has been selling Real Estate for over 11 years and has learned so much from the crash in 2007. She watched friends and family lose the equity they built in their homes and had to walk away with little or no money to move forward. Kay is now able to help those and many others get back into the market of home ownership. 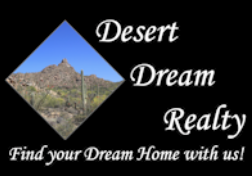 Kay loves open houses and marketing homes to sell and is so happy our outlook for the Real Estate market here in Arizona is prospering again.